Whether you are planning for death or disability or dealing with the consequences of a death or disability, not only is it often difficult to do so, there is a lot of legal considerations and legal processes involved, and Lopatka Law has experience and knowledge to assist you. and set out below is some information on our Estate Planning Services, Estate Administration Services, and Answers to Frequently Asked Question. Competitive Flat Rate Fees we can offer for routine Estate Panning Services [Will, Power of Attorney, Personal Directive etc.] are set out on our fees page, or you can contact us for information on our fees. ​Not sure if we can assist you or need more information? At Lopatka Law we consider that an estate plan is more than just about the paperwork, it is about the process to ensure that you are fully informed, that your wishes are understood and properly set out in the paperwork. Set out below are frequently asked questions we get respecting estate planning which provided detailed information respecting some of the considerations involved in preparing an estate plan. You can contact us [call, text or email] for our current fees and to start the process of assisting you in preparing an estate plan that sets out your wishes when you can’t speak for yourself. The law respecting estate planning and administration continually changes and at Lopatka Law we provide practical and effective legal services and advice needed to administer the estate of a dependent adult or administer and probate an estate of the deceased [as an administrator, executor, executrix or personal representative] or deal with estate disputes [as a beneficiary, family member, interested party or creditor] which can arise from time to time. Contact us today to see how we can assist you with your estate administration needs. ​​For routine wills, enduring powers of attorney and personal directives we can offer competitive flat rate fees for our standardized service and documentation so contact us [call, text or email] for our current fees, further details and to start the process of assisting you in preparing an estate plan and incapacity plan that sets out your wishes when you can’t speak for yourself. Contact us [call, text or email] for our current fees, further details and to start the process of preparing your estate plan. ​More questions but not sure you want to contact us just yet then check out our estate planning FAQs below, and other helpful information in our Legal Updates. * The above standardized flat rate fees: a. do NOT include G.S.T., disbursements and other charges which all are be payable in addition to our fees; b. are effective January 1, 2018 and are subject to change; c. are based upon our standard form of documents; d. include two half hour consultations and one half hour meeting to review and execute documents; e. for the couple rate is based upon the couple having a standardized common scheme of distribution for their respective wills. Additional charges may apply for additional time and non-standard services and documentation required. Additional rush charges for rush services [2 weeks or less] with the rush fee ranging from a flat fee to the applicable hourly rate depending upon the circumstances. Additional charges may apply for updating and revising estate plans and documents after the initial preparation, review and execution of the estate plan and documentation Requests to meet at a remote location [location other than Lopatka Law] or outside our standard business hours can be accommodated and additional fees may apply. Additional terms and limitations may apply so please can contact us for more details and particulars of the legal services included in our standardized flat rate fees. We require your email to provide your account estimate. Please provide us with your phone number in the additional information field below so that we can obtain additional information we may require to provide a complete and accurate account estimate. Please provide information for which fixed fee service you require [wills, enduring power of attorneys and/or personal directives for an individual or couples] and additional information respecting your transaction. Our fee estimates are quicker and more accurate if we are provided with complete and accurate information. Please call our office directly [780.486.8602] for an immediate account estimate. Our standardized flat rate fees and account estimate are based upon our standard form of documents, standard services which:. For estate planning - includes two half hour consultations and one half hour meeting to review and execute documents and the couple rate is based upon the couple having a standardized common scheme of distribution for their respective wills. There may be additional fees for additional services depending upon the requirements of your matter. Additional charges may apply for additional time and non-standard services and documentation required. Requests to meet at a remote location [location other than Lopatka Law] or outside our standard business hours or to have documents signed at a remote location can be accommodated and additional fees may apply. Additional terms and limitations may apply so please can contact us for more details and particulars of the legal services included in our standardized flat rate fees. Please see our account estimate for some of the additional details, terms and conditions. Submitting a request for an account estimate does not create a solicitor client relationship and you should not provide us with confidential information until we have been formally retained in writing and have provided you with a retainer letter signed by a lawyer of this firm. What is involved in preparing an estate plan? It’s always up to you how to proceed and you can contact us if you want to start the estate planning process, or read more to find out what is involved in the​ process. Our view is the value of estate planning is in the process and not just the paperwork. Generally, for us to assist and advise you on developing an estate plan, we require basic information as to the different factors involved in your estate. ​Estate planning often involves more than just the documents, but also arranging your affairs so your estate is dealt with as you wish, and we usually proceed with a three step process. The first step is to gather information respecting your estate so that we can discuss and address the different factors involved in your estate. This initial step is important to ensure that you have all the information necessary for us to advise you and for you to consider how you want your estate to be dealt with. After we have basic information respecting your estate we can discuss your estate plan and estate considerations including instructions for your will, and/or enduring power of attorney and personal directive, as the case may be. One of the most important parts of our role is to ensure that our clients understand the nature and the effect of the legal documents that we prepare for them, so sometimes our clients require more than one discussion to develop an estate plan and provide instructions to us for document preparation. Often in the course of our initial discussions we review and discuss the factors and legal consideration respecting our a client’s estate and estate plan, and the client takes some time to consider the information and advice and provides their instructions in a follow up discussion. As the paperwork needs to be properly signed and witnessed in accordance with the applicable Laws we will meet to review and sign up your will, and/or enduring power of attorney, and personal directive as the case may be. 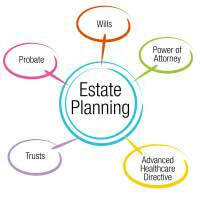 Contact us if you want to start the estate planning process. What Information do You need to prepare an estate plan? When you retain Lopatka Law to assist you in preparing your estate plan we will assist you in identifying the information and documentation that is needed to do so. For an Enduring Power of Attorney any particular instructions or restrictions you may have for your Attorney. What are my next steps to Prepare an Estate Plan? Contact us if you want to proceed with preparing your estate plan or have any questions about doing so. When you contact us we will provide you with the information and documentation needed to start the process. What is the difference between a will, enduring power of attorney and personal directive? and your Will can be used and relied upon only upon your death. Contact us if you have any questions respecting your Will and how to prepare one. The enduring power of attorney appoints an attorney or trustee [effectively an "informal" trusteeship] to make decisions respecting your financial affairs. A power of attorney can be effective immediately or later upon a triggering event as outlined in the document. Generally, the triggering event is a loss of capacity or competency, that is the ability to make decisions for yourself. A power of attorney that is enduring it will continue into any incapacity or incompetency. By having an enduring power of attorney you avoid the requirement having a loved one having to make an costly and timely application for to be appointed formally as a trustee under the Adult Guardianship and Trusteeship Act. The enduring power of attorney will cease to be effective upon your death. Contact us if you have any questions respecting your Enduring Power of Attorney and how to prepare one. A personal directive is sometimes referred to as a "living will." A personal directive appoints an agent or guardian [effectively an "informal" guardianship] to make personal decisions for you and provides your instructions respecting medical treatment, where you live, your activities and legal issues [other than your financial affairs]. A personal directive is effective upon your loss of capacity or competency whereupon you are no longer able to make decisions for yourself. By having a personal directive you avoid the requirement having a loved one having to make an costly and timely application for to be appointed formally as a guardian under the Adult Guardianship and Trusteeship Act. The personal directive will cease to be effective upon your death. Contact us if you have any questions respecting your Personal Directive and how to prepare one. Where ​should I store my estate Planning documents? Whether it is your will [death] or your power of attorney and personal directive [disability], it is important that the original paper copies of the documents are stored in a location that is both secure and accessible. A secure location must be private to you, secure from theft, and secure from water and fire damage or other disruption, because the original paper copies will be required when the time comest to rely upon them, and it can substantial problems if the original paper copies are lost, damaged or there are marks upon them. The location must also be accessible to your personal representative [will], attorney / trustee [power of attorney] and guardian / agent [personal directive] to ensure that they are found [you won't be around to let people know] and used when needed. You can keep the contents of the documents private, but you should let your personal representative, attorney / trustee and guardian / agent know where the documents are being securely held. For your personal directive special consideration has to be had for accessibility as there is often an urgency to health matters. Some possible locations are a safe or secure storage at your residence or in a safety deposit box at your local bank.